The fifth generation (5G) of cellular networks is poised to transform communications, applications, digital content and commerce. What was once slow or perhaps bearable in terms of end-user Quality of Experience (QoE) will be lightning fast with 5G. Leading applications that will realize the benefits of ultra-low latency include industrial automation, robotics, and virtual reality. These apps and services are considered next generation as they will embody a completely different QoE for end-users, leading to new feature/functionality and monetization through enhanced capabilities such as Haptic Internet. However, 5G will not be commercially available until 2020, and will take even longer to make a substantive commercial impact. Along will happen along the road to 5G will be based largely on ongoing efforts to optimize 4G apps and services via evolution of the LTE standard. A portion of these efforts are standards-driven while some of them are based on innovative proprietary efforts of leading infrastructure vendors. Meanwhile, supporting technologies such as MIMO, Digital Signal Processing, Cognitive Radio, and Self Organizing Networks continue to improve, further extending the lifecycle of LTE and paving the way for optimized 5G networks. 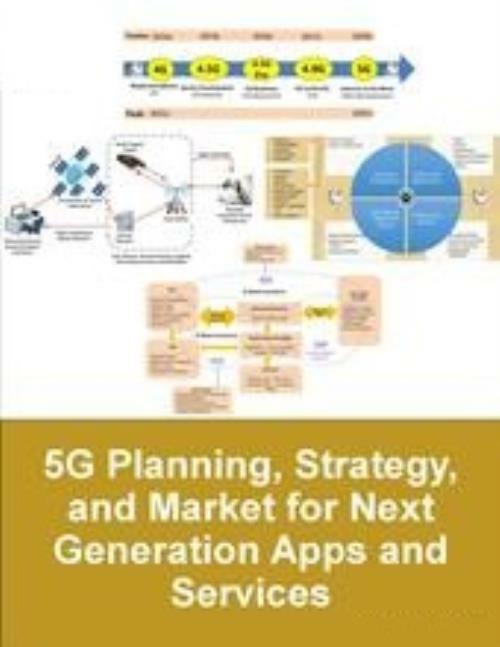 This report investigates the evolution of wireless networks towards 5G including architecture, network strategy, planning, and standardization. The report evaluates R&D efforts from major infrastructure providers including the so called fractional versions of 4G such as 4.5G, 4.5G Pro, and 4.9G. The report also analyzes related supporting technologies such as Mobile Edge Computing (MEC). The report includes detailed forecasts for leading 5G apps and services including industrial automation, robotics, and virtual reality. All purchases of this report includes time with an expert analyst who will help you link key findings in the report to the business issues you're addressing. This needs to be used within three months of purchasing the report.